On the Get InPowered Podcast, we often talk about transformation and life-altering moments. 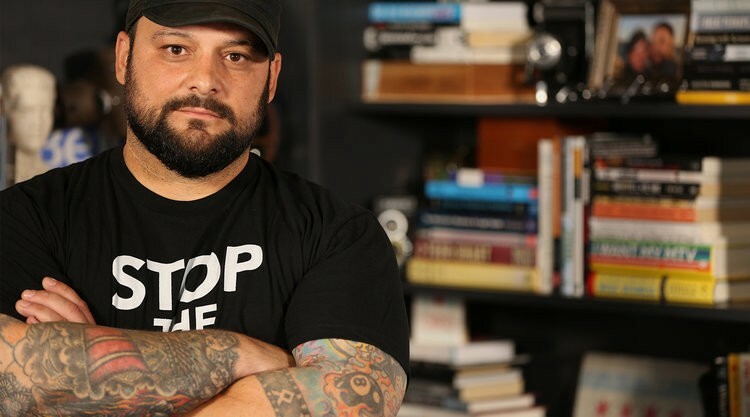 Christian Picciolini is perhaps the prime example of such a transformation. A leader of white supremacist and neo-Nazi groups in his youth, Christian now works as an ambassador to help members of those communities transition out of hate and violence back into the broader community. Christian’s perspective is unique and his passion for helping people overcome their hatred and defeat the core issues in their lives that lead them to these paths is overwhelming. How do you reach people who’ve turned against their fellow man? By listening first, then extending the three things people want most: Identity, community and a sense of purpose. Effective strategic engagement for social change and racial justice demands that we understand all sides of the problems. We need to continuously adapt our strategies, and understanding the story of people like Christian is a critical component. For more, check out his book, Romantic Violence: Memoirs of An American Skinhead.